Last year we had nine contributors give us their insights. To start this round off, Corrie, an American mom who arrived in Dakar last year, is sharing her favorites. Favorite pizza: I know a lot of people swear by Pizza Inn, but I find their pizza to be rather bland. The best pizza we’ve had is at Ceasar’s (downtown location). I know they’re known for their chicken, but we love their pizza, too! It’s cooked on a wood plank and is nicely flavored with oregano and olive oil. We never have any pieces left over to take home, so I guess that’s a good sign. Favorite place for burgers and fries: Hmmm. Can’t say I’ve found any yet that really impress me. Every burger here seems to have too much bread and not enough meat. But if I had to choose one, it would be Le Bideew, the café in the Institut Français downtown. The menu has some really interesting burger choices – blue cheese and pineapple, anyone? Favorite ice cream: N’Ice Cream, hands down. I really wanted to like I ❤ Gelato in Almadies and Xocco Gelato Lab in Sea Plaza better because they're closer and have a lot more to offer in terms of atmosphere, but when it comes to taste, N'Ice Cream is just the best. Favorite ethnic restaurant: Lalibela (Ethiopian) in Point E. Try the freshly pressed juices…and remember to go easy on the naan bread or you won’t be able finish your meal! Indochine (round point Virage) recently opened up again and has really good asian food and a nice, upscale atmosphere. Favorite Senegalese restaurant and/or meal: I’m not normally a fish person, but I can’t seem to get enough of the lotte lately. For those who have been a little intimidated by being served up a whole fish (eyeballs, tail, and all), look for a lotte filet. It’s a mild fish, and adapts well to a variety of cooking methods. I’ve had it grilled and also served in a sauce over rice. Super yummy and made me brave enough to try some more adventurous fish dishes. Favorite breakfast or brunch: Who gets up early enough to go out to eat for breakfast?? Favorite old standby: Le Recif in Almadies. The food is good, the service is pleasant, and you can’t beat the sunset views for dinner. And also: Le Bideew, the café in the Institut Français downtown. Great salad chèvre chaud, if you like goat cheese. Favorite splurge: Oooh. Can’t say I’ve done enough of this. Time for a date night, I think. Favorite place to order a good coffee: (Or tea!) It’s a toss up: Xocco Gelato Bar in Sea Plaza — they offer a nice selection of expresso, cappucino, and good tea, with a small seating area outside overlooking the ocean — or Eric Kayser downtown, because you can accompany your hot beverage with something yummy from the bakery and watch all the interesting city life. 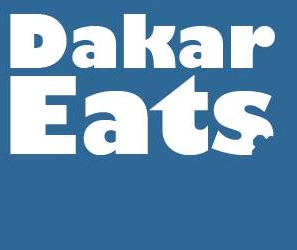 If I were stranded on a deserted island and could have only one of Dakar’s restaurants, it would be: Eric Kayser…if only man could live by bread alone, I would never need to go anywhere else! Favorite in-a-hurry-need-something-quick lunch/dinner: Café Vert in Dakar City (Almadies) – really good paninis, especially the chicken curry, and interesting salads (they offer more options at dinner)…or Saveurs d’Asie (Sea Plaza, Ngor, Point E) – a nem poulet and some riz cantonnais makes a good quick lunch. What do you think? Leave your comments below, or email to participate! Ciao Italy down by Marches Kermel actually serves strangely authentic Italian food! Even the gnocchi were light and yummy, pizza good, pasta decent. Very kitch atmosphere though.